Herb Macia was born on April 10, 1916, in Tombstone, Arizona. He attended the University of Arizona before enlisting in the Aviation Cadet Program of the U.S. Army Air Corps for pilot training on June 24, 1940. He was eliminated from pilot training in September 1940, and then attended navigator training, earning his commission as a 2d Lt and his navigator wings on June 25, 1941. His first assignment was as a B-25 Mitchell navigator with the 89th Reconnaissance Squadron of the 17th Bomb Group at Pendleton Army Airfield, Oregon, from June 1941 until he was selected for the Doolittle Mission in February 1942. Lt Macia served as the bombardier-navigator on the 14th B-25 to take off from the aircraft carrier USS Hornet (CV-8) on April 18, 1942, and after bombing targets in and around Nagoya, Japan, the crew flew to China and bailed out when their aircraft ran out of fuel. He returned to the United States in June 1942, and then served as a B-26 Marauder navigator with the 441st Bomb Squadron of the 320th Bomb Group in the United States from July to December 1942. He deployed with the 441st Bomb Squadron to Algeria in December 1942, and then served as a B-26 navigator, as Group Intelligence Officer, and then as Group Executive Officer with Headquarters 320th Bomb Group in Algeria, Tunisia, Sardinia, and France from March 1943 until he returned to the United States in April 1945. After taking leave, Lt Col Macia served as Chief of Intelligence Training with Headquarters 2nd Air Force at Colorado Springs Army Airfield, Colorado, from August to September 1945, and again took leave from September 1945 until he left active duty on February 14, 1946. He served in the Inactive Reserve from February 14, 1946, to September 28, 1950, and then in an active status with the U.S. Air Force Reserve assigned as an Intelligence Officer with the 43rd Bomb Wing at Davis-Monthan AFB, Arizona, from September 19, 1950, to March 25, 1951. Col Macia went on active duty in the Air Force beginning March 26, 1951, and he remained as an Intelligence Officer with the 43rd Bomb Wing at Davis-Monthan AFB from March to September 1951. His next assignment was as an Intelligence Officer and Division Chief with the Deputy Chief of Staff for Operations and Director of Intelligence with Headquarters U.S. Air Forces in Europe at Wiesbaden and then Lindsey AS, West Germany, from September 1951 to August 1955, followed by service as a Deputy Division Chief with the Deputy Chief of Staff for Operations and the Director of Intelligence with Headquarters U.S. Air Force in the Pentagon from September 1955 to June 1959. 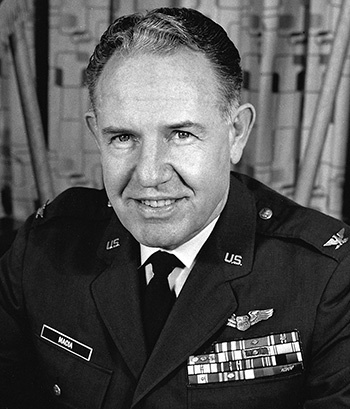 Col Macia served as Director of Intelligence with Headquarters 2nd Air Force at Barksdale AFB, Louisiana, from June 1959 to July 1961, and then as Deputy Chief of Staff for Operations with Headquarters U.S. Air Force Security Service at Kelly AFB, Texas, from August 1961 to June 1964. His next assignment was as Deputy Commander of Headquarters European Security Region Frankfurt, West Germany, from July 1964 to June 1966, followed by service as Commander of Headquarters European Security Region Frankfurt from June 1966 to July 1968. Col Macia's final assignment was as Chief of Staff of Headquarters U.S. Air Force Security Service at Kelly AFB from July 1968 until his retirement from the Air Force on October 1, 1973. Herb Macia died on December 20, 2009, and was buried at Fort Sam Houston National Cemetery in San Antonio, Texas. 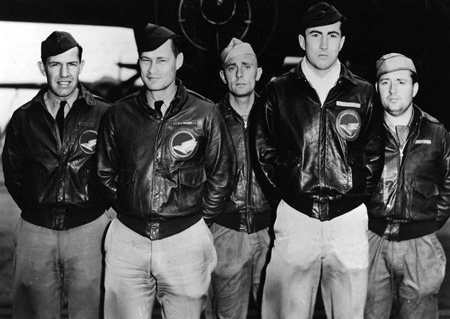 He was the last Doolittle Raider to retire from active duty. For extraordinary achievement while participating in a highly destructive raid on the Japanese mainland on April 18, 1942. Lieutenant Macia volunteered for this mission knowing full well that the chances of survival were extremely remote, and executed his part in it with great skill and daring. This achievement reflects high credit on Lieutenant Macia and the military service.